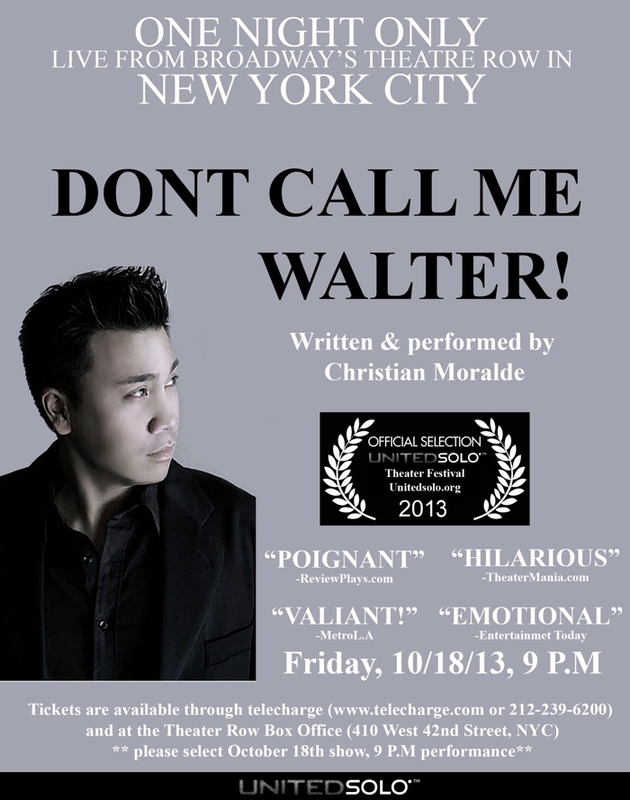 As an official selection by United Solo (the world’s largest solo theatre festival), Christian Moralde’s one-man show, DON’T CALL ME WALTER!, boasts a sold-out show for 2013. This personally written play is based on true accounts from Moralde’s personal life and will be brought from Los Angeles to New York City for a limited engagement. Despite the full festival line-up, DON’T CALL ME WALTER has been singled out by top Broadway press outlets BroadwayWorld and Playbill for it’s merit and solid content.